There’s a reason butternut squash—pumpkin’s svelte cousin—has become the go-to ingredient for cold-weather cooking. The versatile gourd’s sweet, slightly nutty flavor shines whether you roast, purée, mash, or bake it. We checked in with Jen Lile and Leah Joos—co-owners and chefs of the East Walnut Hills bistro Kitchen 452—to find out their favorite winter squash recipe. 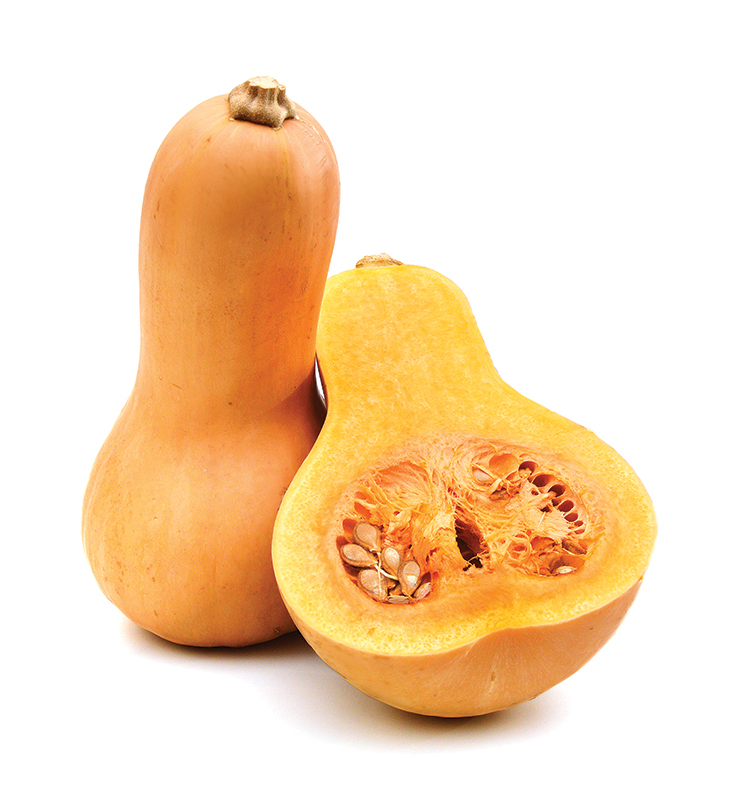 “Butternut squash is relatively cheap, easy to find, and keeps forever,” says Lile. This medley of roasted vegetables, sesame-ginger dressing, and orzo pasta will be no trouble to re-create at home. 1. Peel and dice the vegetables, then lightly toss in olive oil (they shouldn’t be swimming in it). Season with salt and pepper. Evenly distribute on a large baking tray and roast in the oven at 400 degrees until browned (approximately 30 to 60 minutes, depending on the size of vegetables), stirring every 10 to 15 minutes. As the vegetables roast, boil the orzo in a pot of lightly salted water and cook until al dente (about 9 to 10 minutes). Drain the orzo and run under cool water. If you’d like, you can stir in a little olive or sesame oil. Combine all of the ingredients for the dressing in a container; stir or shake until the sugar dissolves. Once the vegetables are finished roasting, add them to the cooked orzo and mix thoroughly. Stir in about half of the dressing, adding more only if you think it’s necessary. Serve chilled or at room temperature.